Creative Broadcast & Film Production students and staff of LIT were delighted to present the LSAD Film & Media Showcase19 at the Millennium Theatre. The daylong showcase was a joyous celebration of the ingenuity, creativity, and often times intriguing work created by the students of Creative Broadcast & Film Production. Nigel Mercier dropped in on the day to offer an overview of the role of a broadcast & Film extra. Nigel’s company, “SetExtras” is the leading extras company in the West of Ireland. Providing extras since 2016 for TV Commercials, Music Videos, and local International Films. This was followed by “Scene and Heard”, directed by Eoghan Neff, Lecturer on the Music Technology and Production programme, whose students from the Interactive Audio module demonstrated live interpretations of audio recorded from a selection of short video scenes. The showcase reception kicked off with great anticipation and was created and run by first year Creative Broadcast students which ran in perfect harmony with music put together by students of Music Technology directed by lecturer Mike Gavin. The Screening itself, proudly opened by Mike Fitzpatrick Dean of the School of Arts LSAD and supported by the head of department of design James Greenslade, was a festive celebration of all things sound and vision. The energy and enthusiasm of the audience and the general camaraderie amongst the students was infectious, a glorious night of visual storytelling and jubilant entertainment was had by all. Special thanks to the film & media companies who came on board to celebrate and support the work of these talented filmmakers. It is brilliant to witness the growing film and media industry here in Limerick and their support of emerging film makers through offering work experience and supporting the showcase is remarkable. Below are the list of the awards, the supporting Film & Media Production companies, and the winning filmmakers. Winner of the Smarter Travel Campus Awards in Multimedia Video presented by Sadbh Hanley of Smarter travel Limerick went to Mark Bergin, Edward Hannon, & Ruth Barnes for their short “Counting Steps” This was a national competition coordinated by Sharon Daly of transport Ireland. A cleverly conceived short advert directly relatable and superbly executed. The judges on the Smarter Travel educating panel we extremely impresses by the quality and professional standard of the winning film. Winner of the award for Art Direction – Selected & presented by Michelle Brassil of Troy Studios went to Amerson Fortuanto for his film “Out of time”. The award was collected on the night by fellow “Out of time” production crew members & actors Saoirse O Connor & Eoin Leen. The film also picked up the Award for Cinematography from Shane Serano of Crude Media. An outstanding film created with great detail and beautiful cinematic accuracy. A first year student of Creative broadcast & Film Production, Amerson is a DOP to watch out for in the future. The Winner of the award for Motion Graphics & VFX – Selected & presented by Róisín Buckley of Piquant Media went to Sean Ó Donoghue for his film “IV” specifically for his excellent use of VFX in live action. The winner of the award for best Documentary film – Selected & presented by Cian Reinhard of The Limerick Post went to Marian Gonzalez for her brilliantly researched film “Franks Ashes”. A superbly presented piece of factual film making based on the working life of Frank McCourt. Winner of the best Original Sound Mix – Selected & presented by Louise Cantillon of Spin South West went to Mark Bergin for his Radio Drama “Quota”, a skilfully mixed, beautifully layered audio drama which we will hopefully hear across our airways very soon. Winner of the best Original Script – Selected & presented by Diarmuid McIntire of the HearSay International Audio Festival went to Nathan Campion for his film “Psychlical”, a wonderfully scripted exploration into the art of storytelling. Finally, the Richard Harris Award in Film Excellence – Selected & presented by Seb Moore went to Fiona Galvin and Adam Littlewood for their film “Caesar”, a deeply moving and touching tale of the beauty of friendship and reaching out in the face of the conformity. Well done to all the students who submitted to the showcase and a special thanks to Louise Cantillon of Spin South west for acting as MC for the night. Thanks also to Simon McGuire Showcase technical director & projectionist, Liam MacCarthaigh live broadcast coordinator, Art O Laoire technical supervisor, Pat Carney equipment supervisor, Jamie Griffin Photographer, Mike Gavin Musical Director, Edward Hannon & Mark Bergin showcase motion graphics, and all the additional members of the showcase committee, Ruth Barnes, Nathan Campion, Róisín Quinn, Mark Griffin, Muireann De Barra, Róisín Crowley, Alyssa Fleming, Clodagh Cummins, Connor Gibbons, Donagh O Shea and Gerard Meagher as well as to Nora Ni Fhlatharta showcase coordinator. Already planning for Showcase 2020. Hope to see you all there when Creative Broadcast & Film Production will have a whole new programme of short films for your entertainment. Creative Broadcast & Film Production is a Level 8 BSc (Hons) Film and Screen Broadcast production programme. Students explore the dynamic world of Film & Broadcast Media Production and develop the key creative, technical, and storytelling skills to succeed. This skills based programme offers students an exciting opportunity to explore the world of the broadcast media industry. It covers a range of disciplines across Film & TV Production, Visual Effects, editing, radio, audio mixing, photography, as well as broadcast technologies across a range of new and traditional media platforms. We offer our students a range of prospects for both academic & career progression in the broadcast, film, creative media industries, as well as extensive hands on production work experience. Creative Broadcast & Film Production students and staff at LIT are pleased to announce details of the LIT Film & Media Showcase19 on Thursday 11th April in the LIT Millennium Theatre. The daylong showcase, which is a visual celebration of short film screenings as well as film & music exhibitions, will see student’s present films ranging from fiction, documentary, and animation. This public showcase offers an exciting opportunity to view the latest work of emerging film makers working in Limerick today. Showcase19 is generously supported by film & media production companies in Limerick who have come on board to celebrate the work of these talented filmmakers. A number of events will run alongside the showcase including a presentation by Nigel Mercier on how to become a Film & TV Extra. Nigel’s company, “Set Extras” is the leading extras company in the West of Ireland. Providing extras since 2016 for TV Commercials, Music Videos, and local International Films. An award winning actor, Nigel will offer an overview of the extras casting process, what casting directors are looking for, and how you can get involved. For anyone interested in TV and Film production who would like to learn more about becoming an extra this is the event for you. SetExtras.ie have some of the most experienced casting directors working in Ireland today and a large database of people in the Limerick, Tipperary, Clare, and Kerry areas. To find out more, why not pop along. Following Nigel Mercier’s presentation will be a series of Music Exhibitions from 2pm – 6pm. This event, entitled “Scene and Heard” will see Music Technology and Production students from the Interactive Audio module perform live interpretations of audio recorded from a selection of short video scenes. For CAO students hoping to attend the programme in September the showcase is a wonderful opportunity to find out more about the programme, see student examples, and meet the lecturers. All welcome. On behalf of the students and academic staff of the Creative Broadcast & Film Production programme, LSAD, I would like to formally invite you to attend the – Showcase19 – screening on Thursday, April 11th in the Millennium Theatre. The showcase is a visual celebration of short film screenings as well as film & music exhibitions. Films range from fiction, documentary, and animation presented by the students of Creative Broadcast & Film Production. The event offers an exciting opportunity to view the latest work of emerging film makers working in Limerick today. Reception opens at 17:00, screenings & awards from 18:00. I look forward to chatting with you when you get a chance and hope to see you at the reception. Here is our eventbrite page with further information. Following the first documentary Kemmy (2017) (on the late Limerick Politician Jim Kemmy), comes David Burns’ second factual feature, ‘The Picture House‘. This hour long film documentary tells the story of the glory days of Limerick’s one-screen cinemas until their demise in the late 1980s. We see how the cinema screen was, and is, the biggest cultural outlet for Limerick people, and look at the various venues that thrived in and around the City Centre. We get the idea of how most theatres mainly screened films but also mounted variety shows, concerts, operas, plays, and talent shows. • The main cinemas, the films, shows and their market. How the venues came and went. • The people who worked in the cinemas, from manager to page boy. Their struggle for a proper wage. • The cinema-going public and their stories.The attitudes of the authorities – mainly the Church. 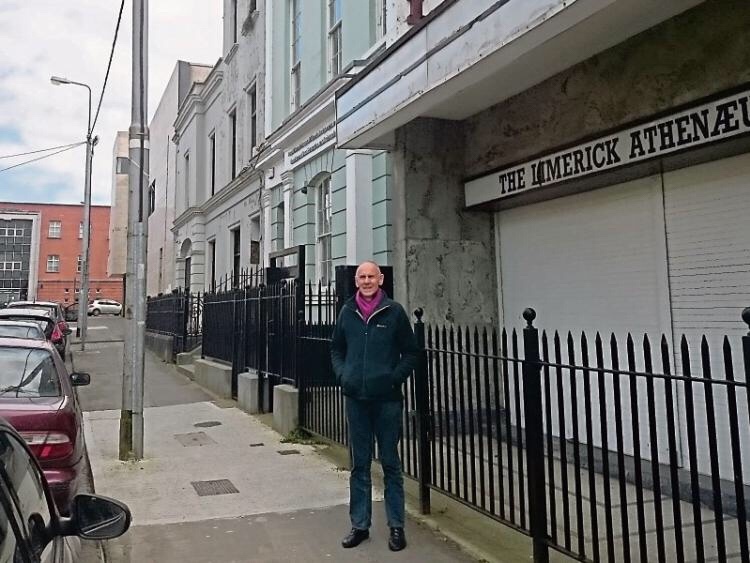 At its height in the sixties, Limerick had seven or eight cinemas of various standards, and the documentary looks at them with regard to their history, and their impact on Limerick’s cultural social and economic life. We see the slow demise of the city centre cinemas due to neglect, competition from television and VHS, and the rise of the profitable suburban multiplex. The documentary uses a presenter to tour the main cinemas. At each venue, we get a potted history of the cinema, together with photographs and adverts from the Leader, background material –reminiscences from the staff who worked there, stories about the behaviour of the clientele, the kind of films that were shown together with film posters and snatches of music, the controversies which arose, and reminiscences from patrons. The Picture House seeks to give an overarching flavour of the history of Cinema from the first cinema in La Ciotat in 1899, the advent of talking pictures, colour, the evolution of digital cinema and the return of the city centre cinema in the 21stCentury. Simon was on board as Editor again and screening will take place in April 2019. See the Teaser Trailer below. 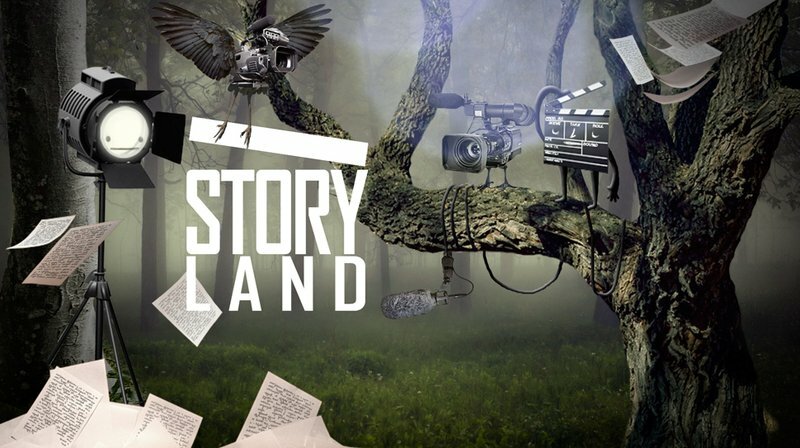 RTÉ and Northern Ireland Screen have announced that they are seeking submissions from writers and producers to develop new original online dramas for the new season of Storyland. Under the Storyland banner, RTÉ and NI Screen give emerging Irish creative talent an opportunity to make original Irish dramas available to a national and global audience on RTÉ Player. We are seeking to commission six scripts and work closely with their script writers and producers on the development of these scripts. Writers from the worlds of television, film, theatre, literature, documentary and journalism are being sought, whether or not they have written for television or film before. Directors will then be contracted once the scripts have been further developed and are ready for final development and pre-production. This year Storyland will develop six projects of up to twenty minutes duration and up to six dramas, each with a budget of €31,500, will be commissioned. Now in its ninth year, Storyland continues to offer an invaluable platform for Irish writing, directing, producing and acting talent throughout the island of Ireland. Previous Storyland commissions have gone on to be commissioned for RTÉ TV series in comedy and drama, a feature film, won numerous international awards and have generated additional opportunities, both within and outside RTÉ for the writers, directors, producers and actors. The newly announcement of the rebranding of Screen training Ireland to Screen Skills Ireland, have also released an information site for budding film-makers, students and anyone considering a career in the creative screen sector. Careers in Screen is a dedicated space that outlines the broad range of job roles available in the screen industry in Ireland and directs you to the most appropriate routes to the roles. The content has been developed by Screen Skills Ireland in consultation with screen industry professionals. It is available to help guide you if you are thinking about a career in the screen sector. If you are looking for a third level programme in the Broadcast and Film sector then click on the image below for the ‘Creative Broadcast and Film Production‘ Programme which is now at LSAD, LIT. Students of the Creative Broadcast and Film Production programme along with the Music Technology Production Programme we’re addressed to by the Dean of the Limerick School of Art & Design; Mike Fitzpatrick and the head of the Creative Design department; James Greenslade this week. The students were inform of the move of the two programmes from the Electrical and Electronic Engineering department to the Creative Design School. This move brings about a more streamlined approach for the programmes as well as a whole range of new opportunities for current and future students. Opening new industry links and collaborations with Creative Design students at the Clare Street and Clonmel campuses. This is initially a governance change and the students will be remaining at the current premises at Moylish for the foreseeable future however the graduation ceremonies from 2019 onwards will take place at the gallery space in LSAD on Clare Street. This new era is the beginning of an exciting future for the Creative Technologies programmes. Limerick Institute of Technology Autumn Open Days 2018 will take place at the Moylish and Clare Street, Limerick campuses on Thursday 18th October and Friday 19th October from 9.30am – 2.00pm. When you’re thinking about what college to choose, it can be a daunting process – there are so many factors to consider, from course choice and location to accommodation costs. As a student in LIT, you will enjoy a fun and rewarding college journey. LIT is among the most vibrant and connected institutions in Ireland. Each of our campuses is a community of learners, where you can get to know your classmates and lecturers in a relaxed and positive environment. We deliver over 120 courses to students through our 5 campuses in Limerick, Thurles and Clonmel, along with our Education Centre in Ennis. So, come along to our Open Days and learn more! These days are an ideal opportunity for you to sample our wonderful facilities first-hand and gain further information on the wide variety of courses available at LIT. Each day, you can meet with representatives from our Academic Faculties and Departments, meet current LIT students and avail of presentations and campus tours. At Moylish campus, an introductory presentation will commence every 30 minutes from 9.30am; the last presentation will commence at 1.00pm. Students that have a specific interest in Art and Design programmes should visit our Clare Street campus where specific information on our Art & Design programmes will be available. Talks pertaining to the Art and Design programmes will take place at the Clare Street campus. Specialist Art and Design talks will run throughout the day at LSAD, Clare Street, along with tours of studio spaces and other facilities. NOTE: To ensure that all students get equal access to lecturers and facilities, we have to enforce hourly limits on the numbers we can facilitate on campus. As a result, Open Day bookings (for school groups) are allocated on a ‘first come, first served’ basis so it is advisable to contact our Schools Liaison team without delay should you wish to attend on either day. For bookings, contact Ann McBride at 0504 28021 or email: schools@lit.ie. RHIFF launching in Fade Street Social by Dylan McGrath on Tuesday and in The George Hotel Limerick on Friday 5th at 6.30pm. More info coming to your inbox and messenger on the Limerick Launch later today. Looking forward to seeing everyone at both these events! This time 4 weeks we will be heading into our Live Script Read, followed by the Richard Harris Retrospective Screening and then…. The Awards Show and Gala Afterparty. Our opening act will be….. you’re just doing to have to wait for the big reveals on Tuesday and Friday!